Do UFOs Ride the Tidal Waves of Tragedy? Nikola Tesla warns of more nuclear disasters from the astral world. UFOs have a way of showing up before, during and after natural disasters such as earthquakes, volcanic eruptions and tsunamis. In my career in publishing I have edited some 30 different magazines. One was titled Front Page Disasters. In one issue I wrote about the worse earthquake in Japanese history which struck in 1923 killing nearly a quarter of a million residents. In addition to the news of death and destruction, the press of that period carried reports of mysterious glowing orbs seen over the stricken cities just prior to and immediately after the endless devastation. The great earth quake of 2011 has seen an increase in UFO activity just like in prior natural disasters. 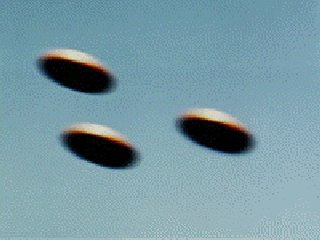 Type in UFOs Japanese tsunami and there are 3 or 4 very good examples of strange objects darting across the sky whose origins must remain a mystery. Scot craft from space or interdimensional travels worried about their own plight? "More than any other energy source, humankind must stay away from nuclear energy. Something always goes wrong, sooner or later. This is the human state. I am not insulting my fellow humans, I am merely saying that we are flawed by definition." No doubt Tesla knew what was to come with the nuclear crisis in Japan following the epic earthquake and tsunamis of March 13, 2011, as he continued: "Humankind must not be involved with nuclear power! I strongly urge governments not to build nuclear reactors, even for the purpose of generating electrical power. Of course nuclear weapons are out of the question! I can promise you that there will be accidents. We know that more and larger earthquakes are to come. Nuclear power plants must not be built!" In other psychic warnings, beings from the higher realms have stressed that there soon will be devastating earthquakes and volcanoes along the Pacific Ring of Fire. Now it is happening: first there was New Zealand, and then, the horrific catastrophes in Japan. Our higher friends also warn of tsunamis as large quakes happen along the colliding, grinding tectonic plates under the Pacific Ring of Fire. As of March 2011, we are warned that more huge disasters are to come. "There will be more - many more."